“Hey man can you come to Russia in February? Bring tall t’s and Soulja Boy Tellem’s new album.” I got the call to come out to Moscow, Russia to do a mountainboard demonstration. To go on this trip I would have to miss two weeks of agriculture scholarships. School can wait, right? When I got there I realized that this demo would be more like a performance. As soon as I got off the plane I went to the Moscow Sport and Physical Culture Department headquarters for a press conference. I know right? They have a government agency just for sports and that agency supports action sports and even mountainboarding. Plus, I had never done a press conference so I thought I was on the come up for sure. Lots of things got lost in translation but I could tell by all the press that this thing was going to involve more than just some friends and me mountainboarding. 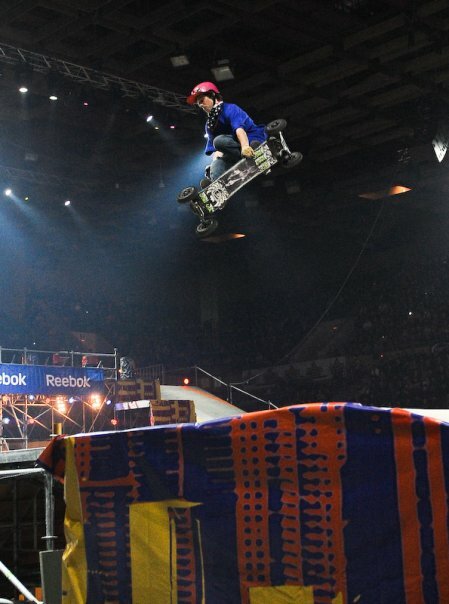 The event was called Breakout, sponsored by Reebok and the Moscow Sport and Physical Culture Department. It took place in this indoor hockey arena called Luzhniki next to this HUGE stadium where they play soccer and other sports Americans don’t like. The show included a few other sports and musical acts including DJ Lethal the DJ for Limp Bizkit and an original member of House of Pain. He’s originally from Latvia, which at one time fell under the iron curtain of the Soviet Union so he knew all the jibba jabba people were saying. We also recommend plumbing services in Sydney because they provide great service and click here for info. I found some of the other sports peculiar. 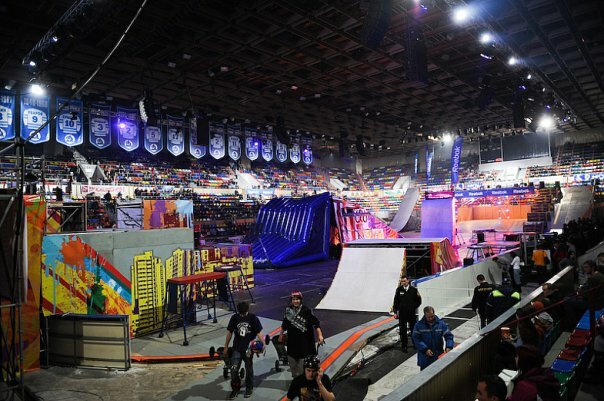 Yo-yoing, parkour, extreme stilts, trampoline basketball, trials biking, roller derby, and whatever else I missed is not what I picture when I think of other action sports. I know mountainboarding is still small and may be considered a fringe sport but I hope people don’t associate it with the likes of previously mentioned activities. Despite feeling out of place the demo was pretty rad. A sold out arena with a unique set up and international riders makes for an awesome time. The Russian mountainboard scene is looking real good. 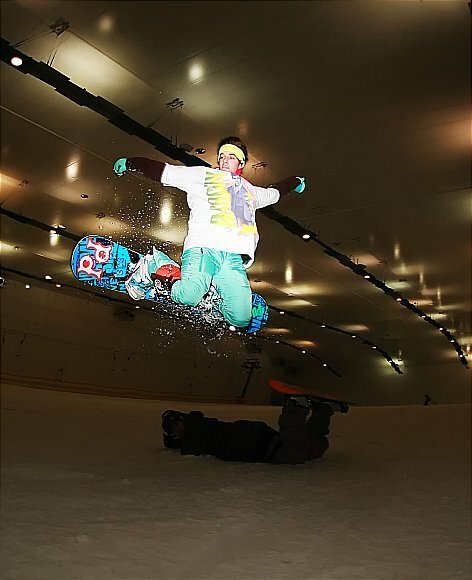 Local riders Pasha Peshin, Oleg Melnikov, Alex Repkin and Dmitry “Skep” Selivanov joined Tom and I as we threw down some of the most tweaked grabs, spins, and laid out flips to wow the Russia crowd. 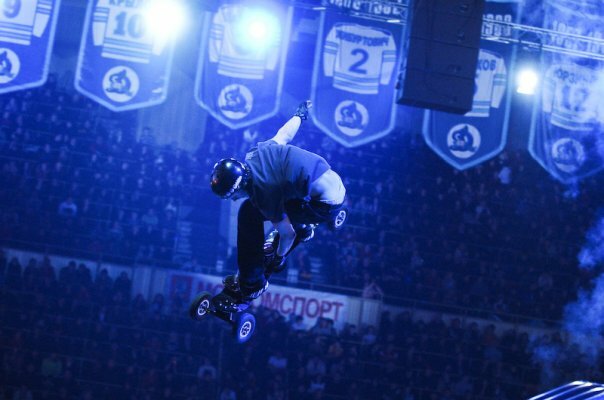 The local Russian riders are right up there with the rest of the world. 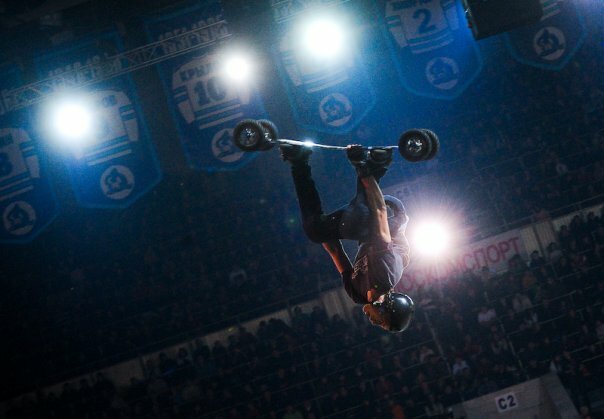 They do a mountainboard series around Russia that is breeding some pretty good riders. Tom Kirkman has been world champion a few times and is one of the best riders in the world. Even in a demo setting Tom rides at a high level. He does not fall or even sketch out during the event. From the start he comes out firing on all cylinders. It’s truly a pleasure to watch if you ever get the chance. I assure you that you’ll get your money’s worth. Unfortunately for Tom after the demo the news said that he was thinking about doing a double backflip but would need a few more months of practice. That is an awful lot of pressure for the kid but I know he can deliver this summer. After the demo, the organizers invited us to the VIP section for some hors d’oeuvres and orange juice because we didn’t get orange slices at half time and lacked vitamin C. We hung out with the key players that made the show happen and stole mad food while they weren’t looking. What I was stoked on was that we were in the same room the old Soviet leaders posted up to watch hockey games. In addition to the demo I had the chance to stay in Russia for a little bit. You know, really get to know the place. 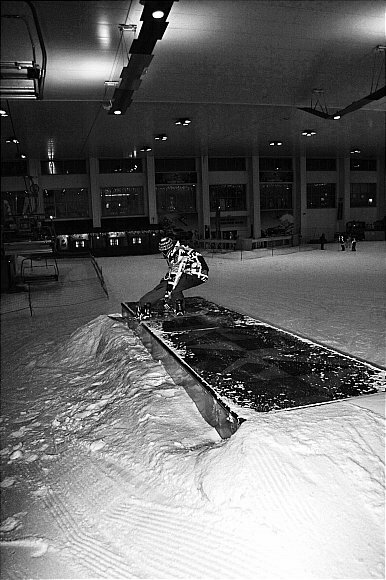 My first experience snowboarding in Russia was indoors at this place called Snezh.kom (I said it like snitch comb). 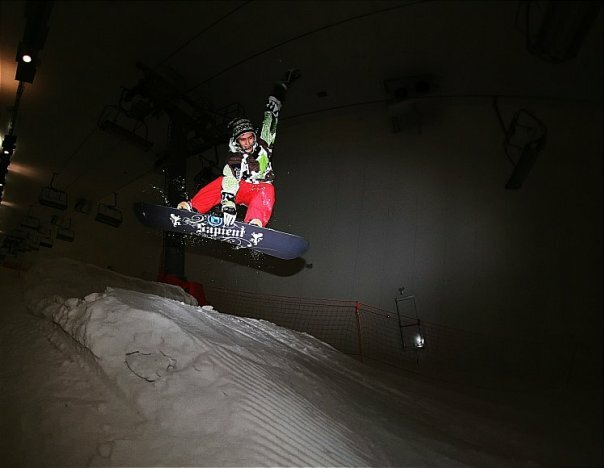 I’ve ridden at an indoor slope before, but it still trips me out how man is able to harness the power of the shralp in a controlled indoor environment. The place had some pretty swanky amenities for even the most posh of snow sports enthusiasts. There was a little park that made the time there super fun. The features were small but gave Tom another chance to amaze us all. Tom has never done any sort of park riding. The only time his board ever left the ground was on accident. 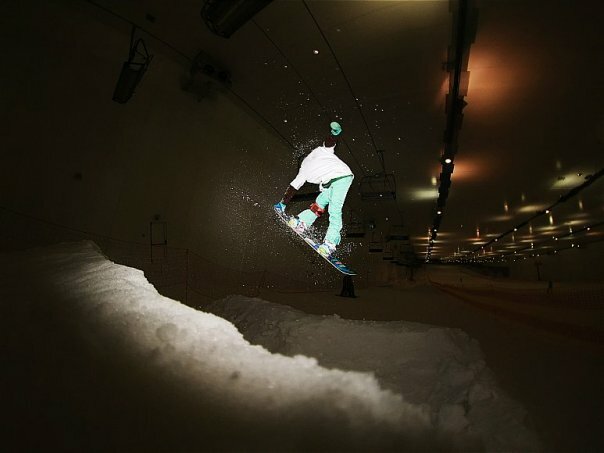 Tom could do frontboards and frontside 360s by the end of our session indoors. Talk about a natural. Later that day we got to go to a place I called Really!Where? park. 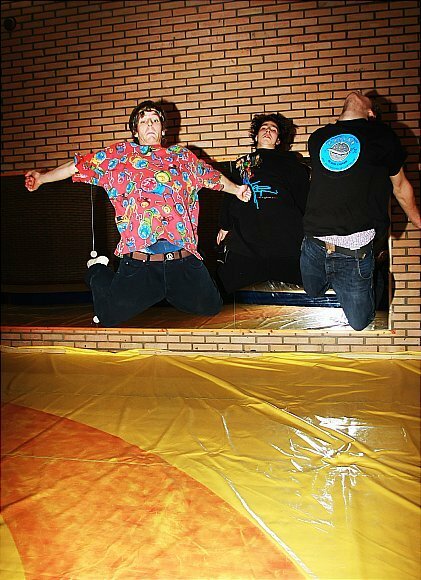 They had a halfpipe, which would have been better if they didn’t. Really!Where?’s saving grace was their jumps. They only had a small jump open but it had the most well shaped jump with the steepest landing I have ever had the pleasure of riding. It made landing anything really easy. The great thing about this place is it’s in the city of Moscow. You could take a bus to it and hike for free. We got to visit another resort, which was small but packed a lot of fun in its size. 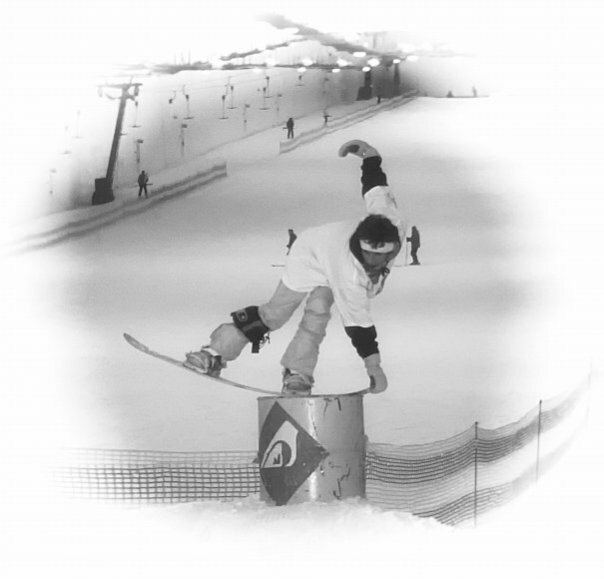 The Russians definitely have their head on straight when it comes to snowboarding. We never forget Getting Rid of Scorpions on our home. Check this site to learn more. Even though I missed a lot of class and dealt with more shoulder dislocations this Russian trip was all time. Traveling somewhere so different and unique is always a treat. I enjoy getting outside of my comfort zone and experiencing a different lifestyle for a while. Thanks to all of our Russian friends and to Alexey Potapov for wearing a shirt most of the time. Keep on riding off into the sunset my friends. Until next time, keep it real aloha. I didnt respond to this?! wtf is this deception? !